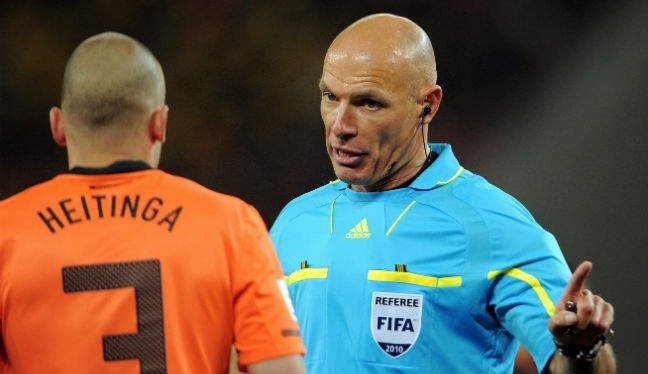 Retired FIFA referee Howard Webb is to join the Professional Referee Organization as Manager of Video Assistant Referee Operations. Beginning in March, Webb will oversee the development and education, assessment, and assignment of Video Assistant Referees (VARs) for the Organizaton. During approximately 30 preseason matches, MLS will continue live, in-game VAR testing with the goal of implementing live, in-game testing during MLS regular season matches in the second half of the 2017 season. Webb retired from an illustrious 25-year career after officiating more than 500 English Premier League and Football League games, overseeing UEFA Champions League games and serving as a FIFA international referee for UEFA European Football Championship matches and during two FIFA World Cups. Webb remains the only referee to officiate both a UEFA Champions League final and FIFA World Cup Final in the same year (2010). Following his retirement, Webb served as the Technical Director of Professional Game Match Officials Limited (PGMOL) which develops referee standards and fields match officials for all English Premier League, Football League (EFL), and Football Association (FA) competitions. Currently, he is the Director of Referees for the Saudi Arabian Football Federation as well as a member of the BT Sport broadcast team for UEFA Champions League broadcasts, utilizing video replay systems to analyze tactical situations and referee decisions in real-time on the air. “I’m delighted to join the Professional Referee Organization for this new challenge and contribute to the implementation of what I view as a crucial development for the sport,” Webb said. “Howard Webb will be a great asset to PRO in spearheading the VAR project,” PRO General Manager Peter Walton said. A combined 15 of the 22 MLS clubs will gain exposure to live in-game video review during preseason competition, including matches in the IMG Suncoast Pro Classic, 2017 Desert Friendlies, FC Tucson Desert Diamond Cup, Portland Timbers Preseason Tournament, and Carolina Challenge Cup. In addition to the in-game tests during preseason, offline testing, with no impact on the game, will take place at MLS stadiums during MLS regular season matches from March through August. MLS will look to incorporate video review into MLS matches following the 2017 MLS All-Star Game presented by Target in August.